One example of this that I recently discovered is the three Latin phrases used on the Great Seal of the United States. This seal was developed to have an official way of representing the new nation. The founding fathers wanted the seal to represent the beliefs and values on which they were building America. This was not a task taken lightly. It took over six years to develop and approve the seal. 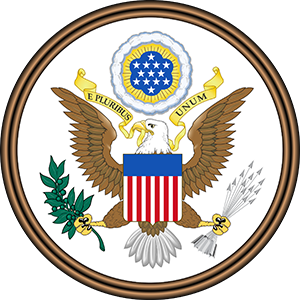 The phrase E pluribus unim appears on the front of the seal, and it was a term that was seen in many periodicals of the day denoting that it took many articles to make one magazine. The translation “one from many” refers to America becoming one nation from the thirteen colonies. On the back of the seal at the top is the motto Annuit Coeptis which translates to “He favors our undertakings.” The he, of course, refers to God. The founding fathers believed that God was with them in forming America and they acknowledged him on this most important matter. The third phrase Novus Ordo Seclorum translates to “New Order of the Ages.” As you may know, there are those that have conspiracy theories about the actual meaning of this and some of the symbols used. I choose to believe that it is in its purest form it was put on the seal to refer to the beginning of America as a new era. I believe that much erroneous thought and straying from the original intent of what our country was based on has attributed to many of the problems in our nation today. These phrases combined then say much about how our nation was founded. We are a nation that although we were comprised from many, we should form one and stand together united. If we believe that God favored our forefather’s undertakings to develop this nation as a new era, should we not then strive to be a nation that God can look upon favorably? As we celebrate our country, the best thing that we can do for America is to pray that we would unify and repent of the sins that plague our country. We need to pray that we can get back to seeking God’s mercy and favor as a nation. As we pray for the nation, we need also to pray for ourselves, that we are not part of the problem but can seek ways to be part of America’s solution.